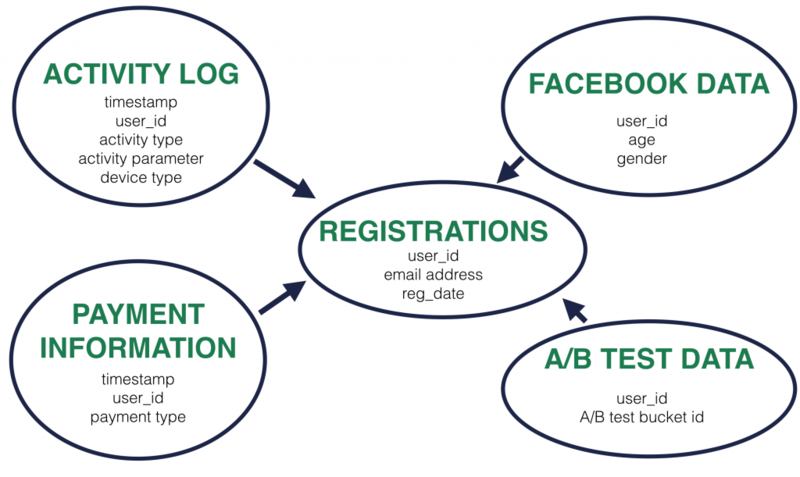 Google Analytics vs. SQL - When and why to build your own data tools? For the record: I’m a big supporter of the third-party data services (eg. Google Analytics, Hotjar, Crazyegg, Optimizely, Mixpanel, etc.). I like them, because they are easy to use and easy to set up. But there are cases, when startups, e-commerce companies (and other online businesses) are reaching a size, where they are growing out of these services – and other advanced data tools (eg. SQL, Python, R, bash, etc…) will be needed! By reading this article you will understand, for which kind of companies, why and when is it essential to build own data tools! When you’re kicking off your business, you don’t have the time to create proper data analyses – neither the money to hire a data analyst. To be fair – in these first few months most probably you won’t be in need of it either. However if you are smart and careful enough, you’ll think about at least collecting the data for further researches. And for that, setting up Google Analytics, Hotjar and the other “point-and-click” services seems to be just the perfect solution. 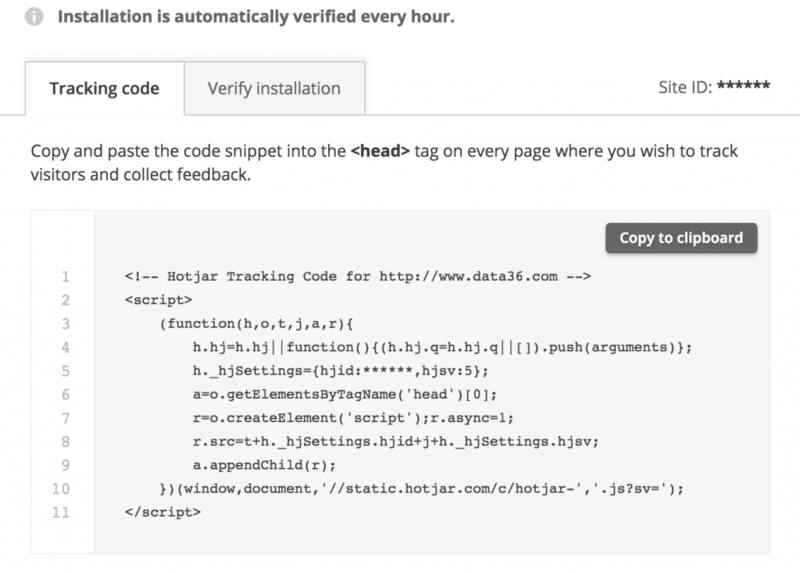 As these tracking tools require only the implementation of a small code snippet into your website’s header, you don’t need to spend too much time or developer resources on them. Copy-paste the tracking code, finalize some settings (eg. setting up goals in Google Analytics, start polls in Hotjar, launch the heatmaps in Crazyegg, etc…) and done. Doable in 2-3 hours tops. Data36.com’s Hotjar code. I’ve copy-pasted this and set up the whole tracking in 5 mins. No matter how fast you are – without data, the faster you grow, the higher the chance that you will hit the wall. You can’t connect all the dots. And these are the 3 exact problems, that you can fix, if you build your own data infrastructure. But what “own data infrastructure” means? First you need to implement your own tracking scripts. These won’t collect your data to Hotjar for instance, but into your own data warehouse, usually in SQL-tables or plain-text files (.csv, .tsv, etc.) – or both. (Read more here: Data collection.) There are many more technical solutions, but to keep it simple for now, I won’t list the rest. Then you can analyze your data with SQL, Python, R or bash scripts instead of the graphical interface of Google Analytics or others. If you want to try these data coding languages and learn them, I wrote an article about that as well: Data Coding 101 – How to install Python, SQL, R and Bash? “But wait! that’s sounds too difficult and tech-heavy! Why would I do that?” – you could ask. So let me answer it and let’s get back to the main 3 reasons of building and using your own data tools! Reason #1: Having your own data. Connecting the dots. The first big problem with third-party tools like Google Analytics, that they are working as a black-box. This means that you don’t own your data and you can’t use it for everything you want. This is not an issue, as long as you want to check simple reports, like how many people scrolled down to the bottom of your landing page, or how many sessions you had from google/organic in the last month. Of course, you can solve the smaller problems by using integrations, APIs or some hacks. (Note: Although let me tell you from my own experience, this could be a real pain in the neck, if you start to integrate more than 2 tools together.) Eg. for this specific question above, you can connect GA to Optimizely. Every third-party service is created to measure a specific part of your product. That’s their power and that’s their limitation at the same time. Even if you manage to connect them, you will never be able to see the full picture. They don’t enable you to connect the dots! And eventually this will lead to more and more poorly-answered – or even unanswered – questions. In a competitive sector, that online business is, this can be fatal. A part of the “not-having-your-own-data” issue is, that you can’t use your data for predictions either. Predictive Analytics is an iterative process, where you need to have clear and transparent data tables with a big number of variables. To create a meaningful prediction, you need to be flexible with your data. And third-party tools are not flexible at all. I guess, this is the main reason, why I’ve never seen an analyst who created useful predictions from Mixpanel, Kissmetrics or similars. 3 different the tools show 3 different results – for the same metrics. by PappG. If you build your own data service, you don’t have to compromise at all. You can have as detailed data as you want. And you can use and analyze it anytime. However building your own data infrastructure is not black or white decision. There is one big counter argument against it: simplicity. Using third-parties like Google Analytics is incredibly easy – the implementation part and the analysis part as well. My rule here is: simple tools for simple questions – advanced tools for complex questions. Going with the above mentioned examples: as long as your data analysis ends at checking the number of sessions per acquisition channels, you won’t need to spend time or money to set up your own data tools. There are businesses (eg. sole trader e-commerce businesses), where Google Analytics will cover the data needs forever! And that is cool! But once you are out of the “simple questions” phase, make sure, you start to build advanced tools. Different tools need different skill set. For building data collection scripts, SQL-tables, python scripts and the rest – you need to hire a data analyst with engineering skills or a data scientist. Anyways, hopefully regardless if it’s a digital analyst or a data scientist you hire, he/she will create much more value for your company, than he/she costs. Is the price of the data tools a question? For sure. But you’d be surprised! For the same amount of users and visitors you can collect, store and process all your data on a data server for ~$100/month. On the top of that Python, R, SQL, bash and most of the related things are free. It means that even at that size, your own tools – besides that you can use them to create better analyses – will be cheaper. And in the long term: the more you scale the bigger this difference will be. Note that this win will most probably be “paid back” on salaries (see above) – that’s the only reason, why I’m not counting pricing as Reason #5. When to build your own data tools? I guess you got the point now! You have to take your first steps into the advanced data tools (SQL, Python, R, bash, etc.) direction, when you have grown out of the basic third-party tools. But when is that exactly? However if you have some engineering resources, then I recommend to log interaction-data at least in plain-text format from day zero. Believe me, 3 years later you will be very thankful to yourself, not letting this information to be lost today. Also I suggest to create daily copies of your transaction/production data somewhere for the same reasons. Hope this article gave you a good overview about when and why to build your own data infrastructure. Use third-party data services, but don’t get stuck with them. Once it’s needed, don’t be afraid and start to build your own data tools – and create a better, more detailed, more flexible and more analyzable data service for yourself, than any third-party! You mentioned star schema which is a great data modelling technique. Also, you mentioned R, SQL, Python, and bash which are great data manipulation and analysis tools. Could you please let us know what techniques can be used to actually capture the data? For example, do we need to create REST API for this task or something else?